Bender UK has successfully completed another hospital project to add to its growing portfolio of successes. 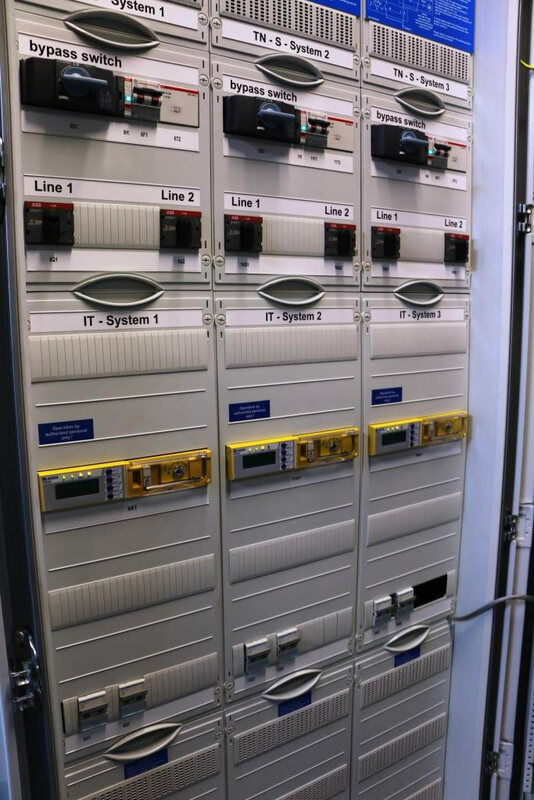 Yet again the company has demonstrated its ability to meet demanding installation schedules and maintain high availability of power supplies for critical medical power systems at the Queen Elizabeth Hospital in Woolwich. Bender upgraded electrical supply systems serving 7 operating theatres & recovery areas, a 20-bed Intensive Care Unit, 8-bed Critical Care Unit and Cath Lab. The project involved creating Isolated Power Systems and installing Uninterruptible Power Systems to improve the resilience and overall performance of the critical power infrastructure and protection by ATICS - the only high integrity changeover solution purpose-designed for medical applications. 3 Steris operating lights have also been supplied and commissioned for theatre use. In addition, Bender has also secured a 3-year maintenance contract for the IPS, UPS operating theatre light maintenance, which includes access to a Bender engineer 24/7/365, and inspection of IPS and UPS to ensure the equipment is serviced in compliance with HTM06-01 part B. The project was carried out under contract to Vinci Facilities Management, a division of VINCI Construction UK, and instructed by medical services provider the Meridian Hospital Company under a Private Finance Initiative (PFI) with Lewisham and Greenwich NHS Trust. A key requirement of the Bender UK contract was that all of the facilities should continue to operate throughout the work with minimum disruption, which meant carefully scheduling activity so that any changeover in the systems was carried out during normal breaks in use of the facilities. Barrow-based cabling specialist STS Electrical Ltd carried out the work. Bender UK’s Operations Manager Gareth Brunton explained: “The Queen Elizabeth Hospital was built shortly before the regulations on isolated power supplies were introduced as the benchmark for critical medical systems – hence the need for the upgrade.